Portland director Andy Mingo will shed light on bringing Chuck Palahniuk’s “Lullaby” to life, and similarly, author Lidia Yuknavitch will discuss her award-winning novel, “The Book of Joan.” Both artists will discuss their seventeen-year collaboration of bringing Lidia’s memoir, The Chronology of Water (now in development) to the screen. They will show a variety of media around their projects and discuss the creative process of adapting literature for the silver screen. Andy Mingo is a Portland-based director and producer whose work has gained recognition at national and international film festivals and screenings. His last film, “Romance” was adapted from a story by “Fight Club” author, Chuck Palahniuk. In 2012 Andy was invited to the Paris-Sorbonne University where he lectured on the process of adapting Chuck Palahniuk’s fiction to the screen. After waging a successful Kickstarter campaign in 2016, Andy co-wrote (along with Palahniuk) an adaptation of Palahniuk’s award-winning novel, “Lullaby,” which is now in pre-production. Andy’s commercial work includes book trailers for Dark Horse Comics’ Fight Club 2 graphic novel and Lidia Yuknavitch’s epic dystopian novel, “The Book of Joan.” He optioned the film rights to Yuknavitch’s memoir, “The Chronology of Water” in 2016, which is now in development for a feature-length film. Lidia Yuknavitch is the author of the National Bestselling novels “The Book of Joan” and “The Small Backs of Children,” winner of the 2016 Oregon Book Award’s Ken Kesey Award for Fiction as well as the Reader’s Choice Award, the novel “Dora: A Headcase,” and a critical book on war and narrative, “Allegories Of Violence” (Routledge). Her widely acclaimed memoir “The Chronology of Water” was a finalist for a PEN Center USA award for creative nonfiction and winner of a PNBA Award and the Oregon Book Award Reader’s Choice. A book based on her recent TED Talk, The Misfit’s Manifesto, will be released on October 24. 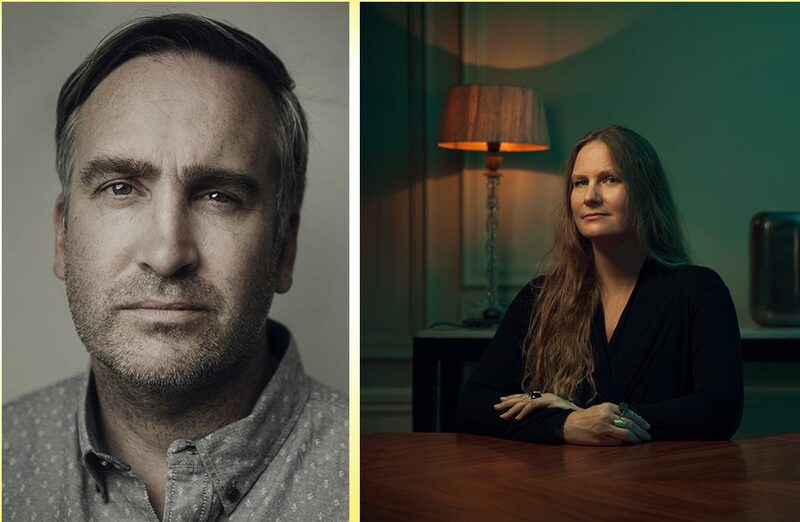 In March, Stone Village Productions won a competitive auction for movie rights to Lidia Yuknavitch’s sci-fi novel “The Book of Joan” and “The Chronology of Water” was optioned by Andy Mingo in 2016 and is currently in development for a feature-length film.